Occasionally we have to trim back an irregular top on a drop pearl so a finding will set better. I was filing a pointy tip off a blue south sea pearl today when the nacre ran out and i could see what looked like compressed peat inside. Curious..of course.. I poked around inside. White waxy stuff in lumps. 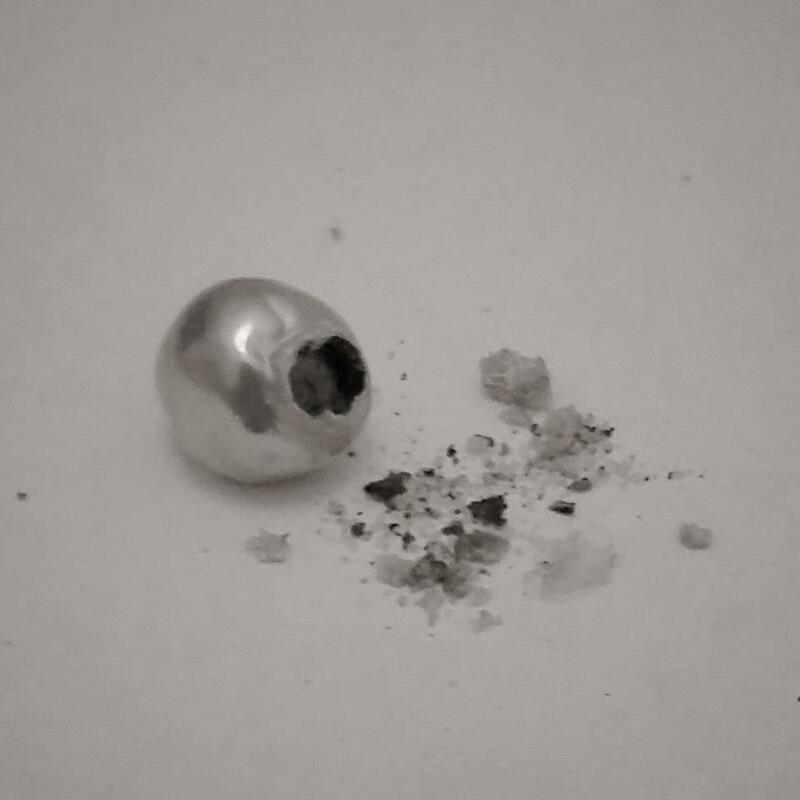 What was any of that doing inside a pearl? Is this some sort of an attempt at a souffle south sea pearl? This entry was posted in Pearlescencery and tagged blue south sea, souffle blue pearl, souffle blue south sea pearl, souffle pearl, south sea on August 30, 2017 by WendyG.